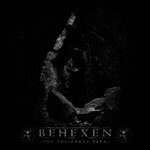 Behexen is undoubtedly one of the forerunners of the contemporary Finnish black metal scene. Despite having a consistent style they have always renewed their sound with each album building upon the development of its predecessor. On 'Nightside Emanations' the focal point where the brilliant choruses and that album had a generally conventional way of structuring the songs. The tunes on 'The Poisonous Path' lack almost choruses completely and rarely repeat any section of the music twice. The focus instead lies on two things: the guitar work and the atmosphere. Despite enjoyable, and sometimes outright catchy, riffs (this band could wright riffs in their sleep most fresh acts would kill for) this is the least accessible Behexen album to date. Partly due to the lack of definable choruses and repeated melodies, but mostly due to the nature of the atmosphere surrounding the album. 'Nightside Emanations' saw Behexen take the atmosphere of their music into a more distinct ritualistic direction. But where its predecessor painted the picture of a full-blown satanic mass with black candles, robes and ritualistic sacrifices of goats, cats and you garden variety virgin, 'The Poisonous Path' puts the listener in direct contact with the dark forces without the clergy middle man. Wrapped in a fitting dense production signed by Tore Stjerna and topped with the ever impressing multifaceted vocals of Hoath Torog (the only aspect of the album that is a direct descendent to its predecessor), 'The Poisonous Path' pulls the listener down into a dark claustrophobic hole. The thick dark atmosphere conjures images of a direct link to the beast of many names without any safety net or chance of pulling the plug. As such, 'The Poisonous Path' is a gateway to an internal ritual and meant to be experienced as such. This makes it in turn the least accessible Behexen album to date. Sure, the riffs and guitar hooks are well-written enough for a casual listen, but to be experienced in full this album requires as much of the listener as it does of the band. As of right now my view of this effort is a solid album but not one of the prime creations of the Behexen catalogue. At the same time I am very aware this is the kind of album one needs to step away from for a month or two to fully grasp its true message and maybe find its inherent greatness. Sometimes this process has to be repeated multiple times, one does not tread easily around the darkest of forces. The summary of 2016 might give avid readers my final verdict of 'The Poisonous Path'.